For a long time, business growth was synonymous to the profits your business earned. However, with the passage of technical advancements and customer awareness, this quantitative aspect of the business is overridden by the qualitative aspect, famously known as customer experience. Starting from the product quality to customers’ patience, many factors come into play while defining your customers’ experience. Multi-level Interactive Voice Response (IVR) is one such important customer service tool. Multi-level IVR puts your company’s qualitative customer experience into shape and smoothens the process of reporting queries and grievances. Below, let’s understand in detail how adopting a multi-level IVR into your business can enhance your customer experience. With innumerable customers constantly trying to reach you, it is practically impossible for your agents to promptly handle every customer call. 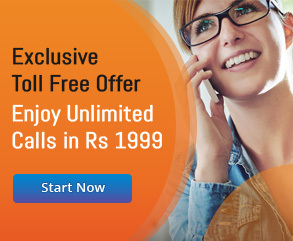 Moreover, you can easily disappoint customers by not answering their calls in the first attempt. Here, Multi-level IVR is a great relief to your business and agents. IVR solutions can easily distribute a large number of incoming customer calls into different departments depending upon the enquired query. Then, your incoming customer calls further gets divided into three different departments. This distribution of incoming calls to the right department makes the whole communication process less time consuming for the agents and more result-oriented for the customers. If your customer base is spread across different geographies, then chances are your customers will contact you as per their comfortable time slots. Thus, your agents cannot afford to remain offline for a long time. “Forward-to-phone” feature easily solves this problem. You can forward incoming phone calls from anywhere to the cell phones directly. Plus, without much complication, you can easily define your call forwarding route on different numbers as per your business priority. This round the clock flexibility helps you strengthen your brand image among customers. Call queue messages are not pleasing to the ears of customers. In fact, according to research, 67 per cent admitted to feeling ‘annoyed’ when they are forced to wait too long. Thus, if you do not want to lose customers, reducing your call waiting time becomes crucial for your business. Through IVR, the whole process of query handling becomes fast and efficient. By defining an intelligent call routing mechanism, you can directly forward customer calls to the expert agents. This assures a prompt query resolution and also helps you sail through the customer queries smoothly. 67% of customers hang up the phone in frustration when they cannot reach. It goes without saying that if customers are left unattended, then the probability of losing them surges by a large number. But, with limited resources and time, how do you manage to maximise your first call resolution and attend every approaching customer? Well, the answer lies in “Auto-attendant” feature of IVR. This IVR in-built feature acts like your receptionist. A pre-recorded voice message automatically answers your incoming calls. And the best part is, you can easily change or customise your message as per your business need. It is no longer enough to only stick with your business routine without assessing the real-time outcome of your business strategies. And with data analytics grabbing hold on every industry, call centres cannot remain untouched from the analytics, and prediction power its customer data holds. So, to provide high-quality customer experience, call data analysis becomes an unavoidable part of your business routine. You can quickly analyse the call flow statistics and customer trends on the IVR web portal by accessing the call reports and dashboards. Moreover, you can also examine customer and agent behaviour patterns by listening to their call recordings. Not every customer query is complex and requires human intervention. For instance, if you are running a contact centre for a bank, then answer to the questions such as, “What is my account balance”, doesn’t require much time or human intelligence. 40% of customers contact a call centre after they have looked for answers via self-service options. 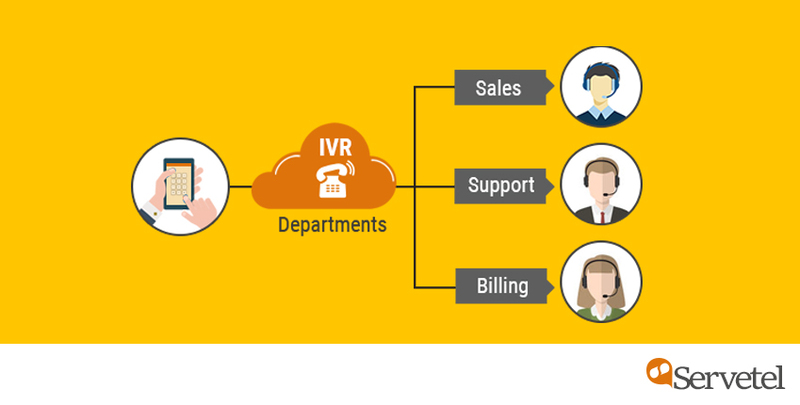 Thus, to handle simple queries like above, multi-level IVR gives you the flexibility to add self-help menu options. Apart from saving your time and efforts, self-help options also provide peace of mind to customers as they no longer have to struggle with the long call waiting to get their answer. You know a solution is worth adopting when it not only benefits your business but is also making your customers’ life easy. 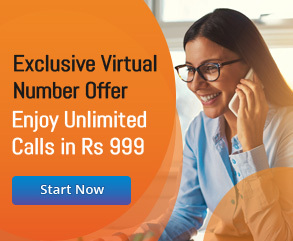 With the IVR benefits mentioned above, such as self-help option or 24*7 support availability, there is no doubt that Multi-level IVR is going to shoot up your business productivity and customer experience to a huge extent.